Going out into your backyard or garden to grab a handful of homegrown blueberries is so rewarding. 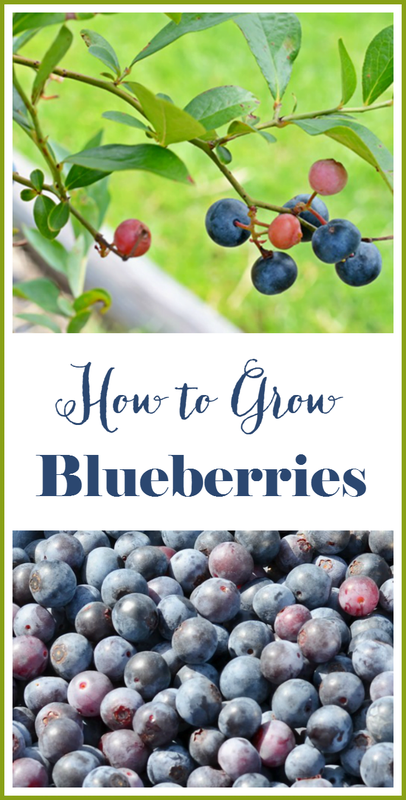 Blueberries are easy to grow if you follow our how to grow blueberries tips in this post! Hi everyone! It seems like I’ve been working on this post with our tips on how to grow blueberries for over a week. But LIFE has a way of getting in the way sometimes. LIFE and TOMATOES, that is! The tomatoes all ripened at once and when that happens, you’ve got to do something with them-quickly! Over the past several weeks, I’ve canned 31 quarts of my Homemade Spaghetti Sauce and frozen 6 gallons of Shrimp Creole sauce. Whew! But back to the blueberries. This is our second year on our blueberry bushes, and we’ve had a very successful harvest this year. Every time I go out into the garden, I get a handful of these and have a little snack. So natural and delicious, not to mention nutritionally good! 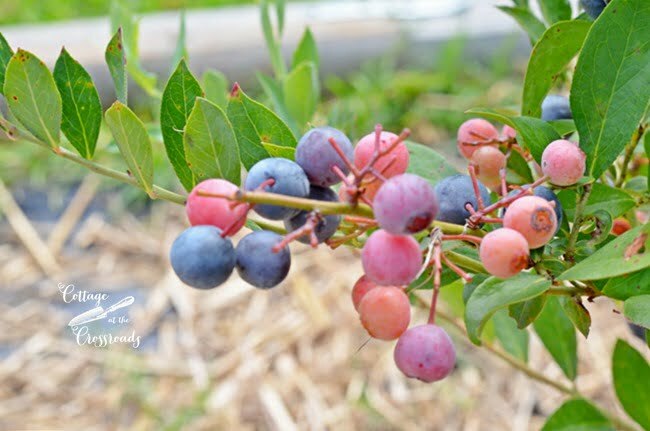 This is NOT the time for planting blueberry bushes for most of you who are reading this, but I thought I’d pass along some of our growing tips to you. I was spurred along to do this when a friend was touring our garden recently and she stopped at the blueberry bushes and asked how we got such large blueberries. So as I was telling her what we did, I thought that I should just put the tips on the blog, as well. I wish that we’d had these tips about 5 years ago because that’s when we first planted some blueberry bushes, very unsuccessfully, I might add. We just stuck some in the ground and hoped for the best but that didn’t happen. They DIED! Now we know exactly why that happened, and these tips will help you avoid that if you choose to plant some bushes yourself. First of all, you must choose the correct type of bush according to where you live. Some blueberries need a specific number of cold hours each winter to regulate their growth, and if they don’t experience enough cold, the flower buds may not open in the spring. Knowing which hardiness zone you live in is crucial in choosing the right type of bush to plant. For example, we live in South Carolina so it would be futile for us to plant any of the lowbush varieties since our winters are not cold enough for that type. 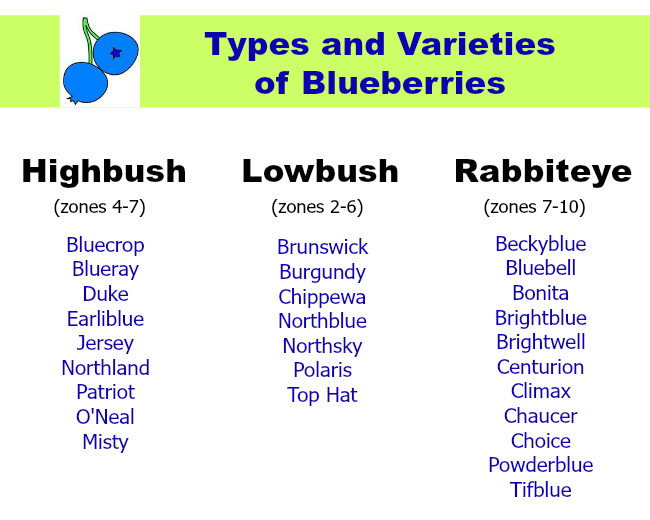 Other types of blueberries are more heat tolerant which is the kind we selected. Additionally, each state has a cooperative extension website that should have recommendations for your area. 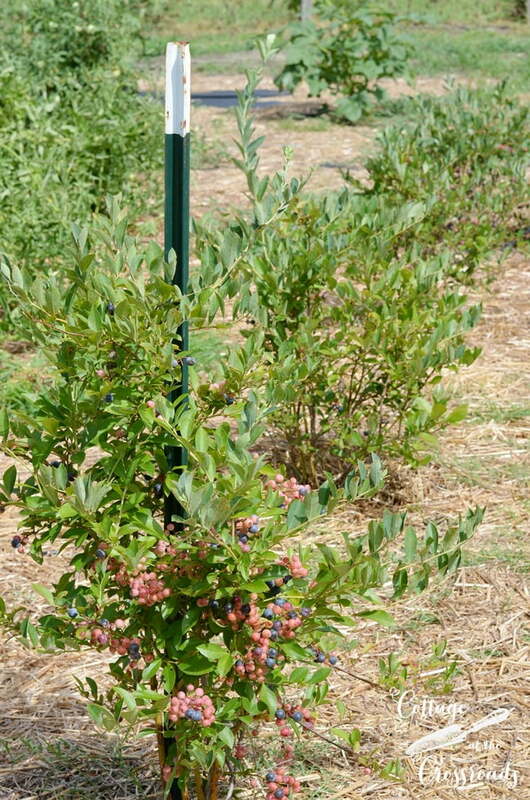 The Clemson Cooperative Extension website has a wealth of information on growing blueberries in SC. Who knows what types we planted 5 years ago! We were such greenhorns who’ve learned to do some prior research before planting! Now we have 3 Southern highbushes and 3 Rabbiteyes. The Rabbiteyes are native to the southeastern part of the US. They are the most heat tolerant and the least cold hardy which is perfect for our climate, and the Southern highbushes are doing very well, too. We purchased container grown plants from a nursery that were several years old. Pick 2-3 varieties when choosing your plants for cross-pollination to occur. Most need another variety nearby to bear a lot of fruit, and having more than one variety will extend your growing season as well. Our Rabbiteyes starting bearing fruit in early June and now we are harvesting from our Southern Highbushes. Blueberries are acid lovers so you must make your soil where you are going to plant very acidic. After you select the spot where you’re going to plant, it would be best to have a soil test done to get an accurate pH reading and to follow the recommendations for making it more acidic. 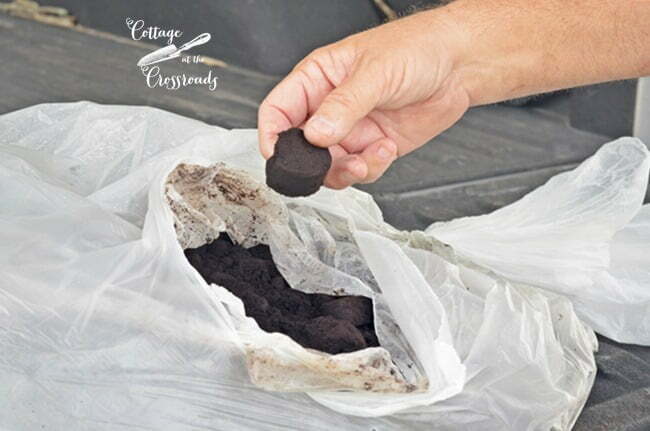 And depending on the type of soil that you have, you may need to amend your soil with some organic matter such as compost or peat moss as well. All of this could be done in the fall prior to planting in late winter or early spring. But here’s our little secret for how we made our soil more acidic. Yep! It comes in a bag and it’s FREE! Every once in a while Leo drives by Starbucks, buys a cup of coffee, and asks if they have any bags of grounds ready to throw away. 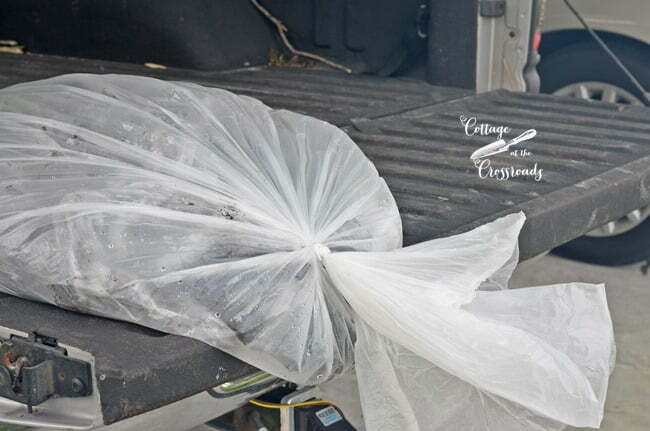 They just toss them out the window into the back of his truck, and you may have already read how we add them to our compost pile. So when Leo dug the holes to plant our blueberry bushes 2 years ago, he put some grounds into the planting hole, and every fall and spring he adds them to the top of the soil and waters them in well. Nothing better than FREE, folks! 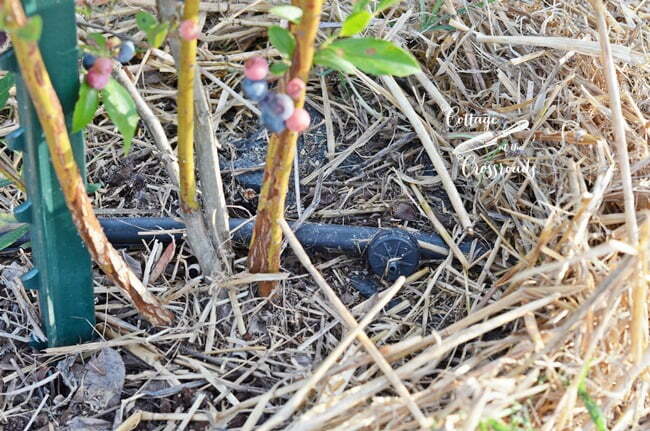 Remember those poor blueberry bushes that we originally planted 5 years ago that died? Well, we planted them outside our garden in a spot that got very weedy, competing with the blueberries for the nutrients in the soil. Before we knew it, the weeds were growing all up into the bushes and the situation was out of control. Now our bushes are inside our garden with a heavy layer of landscaping fabric and straw around them. It’s easy now to hand pull any weeds that try to come up around the roots or through the fabric. 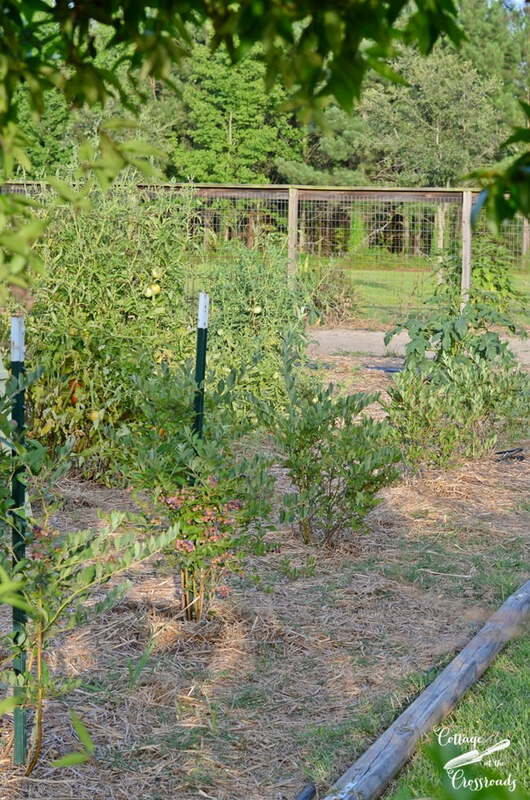 Having the plants inside the garden also protects the plants from deer which do live in the woods behind us. Another mistake that we made with our original blueberry bushes was that we planted them too far away from a water supply. In the beginning, we remembered to give them some water, but then it got hot and it was such a chore to get water to them. MAJOR MISTAKE! Now we have a drip system in place to water our plants. It is worth the time and expense to do this, especially since blueberry bushes should live and produce for many years if the growing conditions are right. We feel that we’ve gotten these bushes off to the right start and we’ve been enjoying a sweet harvest this year. Now there are other things that we need to learn to do such as correctly pruning the bushes, but from what I’ve read, we won’t need to start doing that until the fourth year or so. 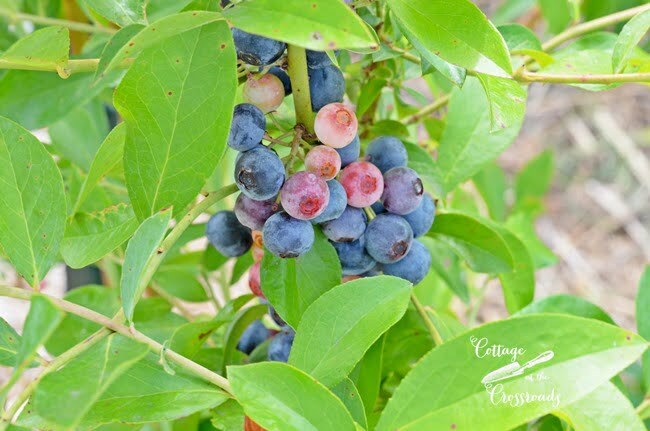 If you have a spot in your backyard, consider planting a few blueberry bushes not only because they bear fruit but for their ornamental value as well. Just remember to plant them in full sun. And you may have to protect the fruit from your feathered friends by using some netting, although we have not had to do that. 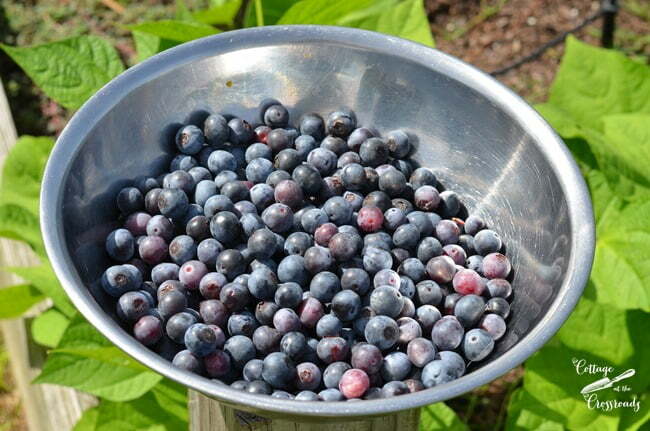 Following our tips on how to grow blueberries should ensure a sweet harvest for you as well. 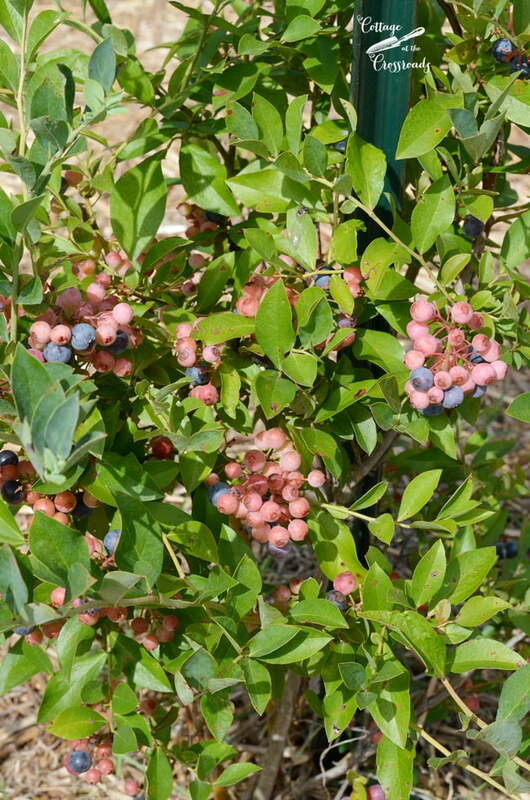 I just ordered 4 blueberry plants from a local nursery today. So glad I found you! Thanks for the great advice. Wish me luck. Thank you for the tips. I will try a couple more varieties. I bought two Rabbbiteye, Brightwell. This will be my first try for blueberries. I’m in Oklahoma. I planned to try a container for one plant, and another on a mound. But now ill just use containers. I don’t have much room but plenty of sun. I’m calling the Extension Service. Thanks again. Great tips! We have a blueberry plant and it needs some love, so this post will help. Would you mind sharing the shrimp creole sauce? I would love to try it! Blueberries are my faves and especially home grown. Happy Sunday. 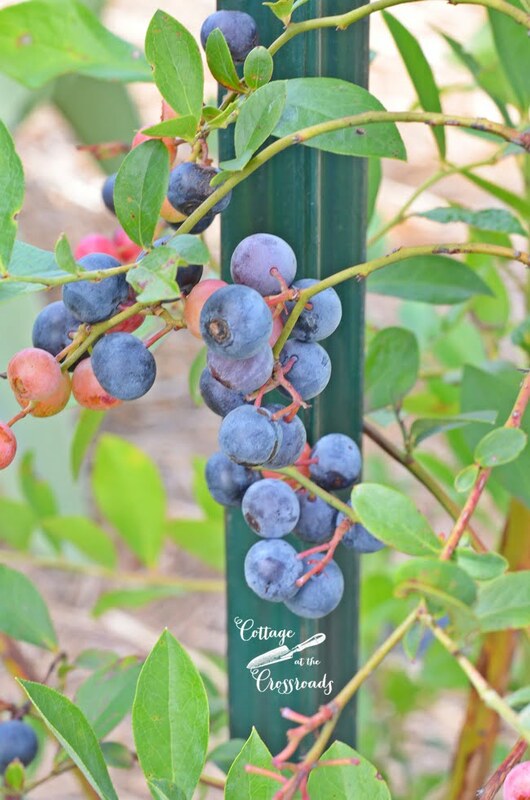 Great post Jane, I love seeing your garden with all the berries. My hubby mowed all my blueberries down a few years ago, said he didn’t know what they were 🙁 Your berry patch is making me want to replant.